A man with a knife who barricaded himself inside a home in City Heights for six hours came out early Monday was arrested. 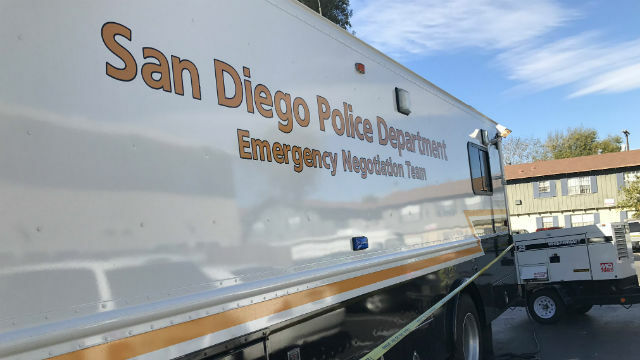 A woman called police about 6:30 p.m. Sunday to say the man had entered the home in the 4100 block of Highland Avenue in violation of a restraining order, San Diego Police Officer John Buttle said. A SWAT team was not called to the scene and neighboring residences were not evacuated, Buttle said. Police negotiators went to the scene and talked with the man until he came out at 12:29 a.m., the officer said. The man was arrested for suspicion of violating the restraining order, Buttle said. No injuries were reported.